OWATONNA, Minn., June 1, 2016 - Southern Minnesota Initiative Foundation (SMIF) awarded $20,000 worth of grants to four different projects that arose out of the SE MN Together regional gatherings. SE MN Together is a collaborative group working to address issues related to the workforce shortage in southeastern Minnesota; southeastern Minnesota faces a predicted 45,000 worker shortage over the next 20 years as the Destination Medical Center (DMC) initiative brings new job opportunities and demands into the area. The group is a result of SMIF's 2014 Regional Community Growth Initiative and received an $80,000 SMIF One Big Thing Grant to create opportunities for smaller communities to work together to identify, utilize, and develop their own regional assets to positively grow workforce capacity. 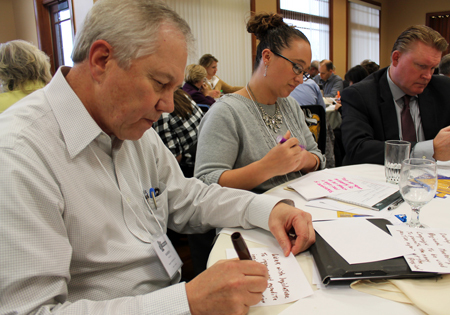 After a year of community meetings with over 300 southeastern Minnesota stakeholders, several working groups emerged to focus on issues such as housing, transportation, regional marketing, and inclusive, diverse workplaces. "A vibrant regional economy needs more than jobs: it needs quality, affordable housing, easy transportation, good education, and things for people to do," said SMIF Vice President of Economic Development Pam Bishop. - $5,000 awarded to Project FINE for a Discovering Diverse Workforce Solutions project. This project will bring together resources and workforce solutions from across the 11-county southeastern Minnesota region that have demonstrated positive results helping diverse individuals find jobs and increase inclusiveness in the workplace. As a result of this "diversity inventory," employers across southeastern Minnesota will have tools to help attract and retain a more diverse workforce. - $5,000 awarded to the City of Albert Lea for its Southeast Minnesota Housing Initiative project. Inadequate affordable housing arose as a concern at all SE MN Together community meetings. Housing summits and workshop will be conducted in communities throughout southeast Minnesota to engage community partners to solve their housing needs through collaborative planning and use of a toolkit to be created by the committee. The intended outcome is an increase in housing units to meet each community's needs. - $5,000 awarded for a video project, "An Introduction to the Community." Youth in different communities will help create videos highlighting the community they are from. Once completed, these video projects will be put on YouTube and will be used for marketing with the goal of attracting families, workforce personnel, and others to the region. - $5,000 first phase of the Southeast Minnesota Regional Transit project. The first phase of the project will consist of meetings including area transit providers to share data among each other, map out current routes and then add this information to Google Transit. These meetings will encourage collaboration among transit providers. The project as a whole aims to provide better and more comprehensive transit services to rural southeast Minnesota and drive economic development efforts for employers, employees, educational institutions and regional retail services. "We've been really encouraged by the outcomes of SE MN Together," said Bishop. "The goal of the Regional Community Growth Initiative in 2014 was to get the smaller communities working with those in Rochester area to help raise all boats - small towns as well as Rochester - as the Destination Medical Center planning continues. 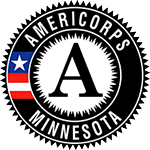 We need to collaborate to address the worker shortfall and all the connecting issues, and the collaborative projects coming out of the SE MN Together meetings are a great starting point." "It is amazing to see what different areas and communities can accomplish when they come together under one umbrella," Tim Penny, President and CEO of Southern Minnesota Initiative Foundation, said. "This is truly what we hope to see out of our grants: collaboration among communities." Read more about the outcomes and future plans of SE MN Together in this University of Minnesota Regional Sustainable Development Partnerships' blog post: http://www.extension.umn.edu/rsdp/newsletter/05-2016-focus-se-mn-together/.